At the turn of the century C.E. 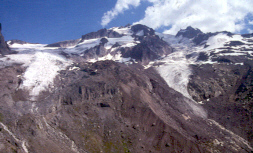 Rusk explored the glaciers around Glacier Peak that were retreating from their Little Ice Age maximum in the mid-19th century. 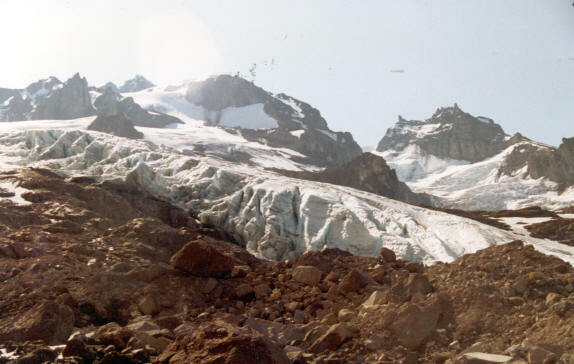 The average retreat of Glacier Peak glaciers from the LIA to the 1958 map positions was 1640 m. From 1950-1955 Richard Hubley, University of Washington, completed the first aerial glacier surveys of North Cascade termini, noting the beginning of an advance on Glacier Peak that continued up through 1979. All ten glaciers on the slopes of Glacier Peak advanced ranged from 75 to 500 m and culminated in 1978. 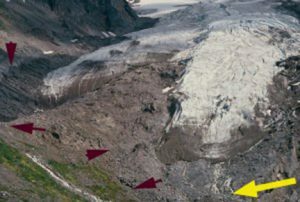 All 11 Glacier Peak glaciers that advanced during the 1950-1979 period emplaced identifiable maximum advance terminal moraines. 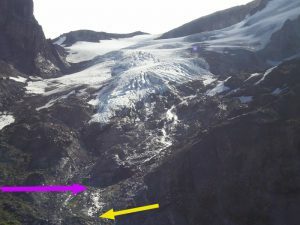 A picture of the glacier from R.Luce during this advance shows a glacier with a strongly convex profile.Kennedy and Scimitar Glacier were joined during the LIA descending the Kennedy Creek valley to an elevation of 1315 m. Retreat from the LIA maximum of 1000 m had occurred by the turn of the century. 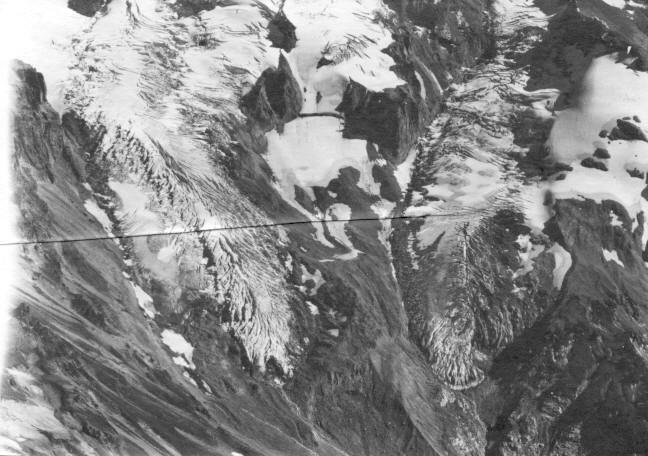 By 1946 the glacier had retreated an additional 700 m to an elevation of 1960 m. In 1952 the glacier was advancing rapidly, as indicated by the 1955 photograph from Richard Hubley of the glacier from 1955. This advance continued up until 1975, the terminus having extended downslope 320 m to terminate at an altitude of 1785 m. By 1984 the terminus had begun to retreat. 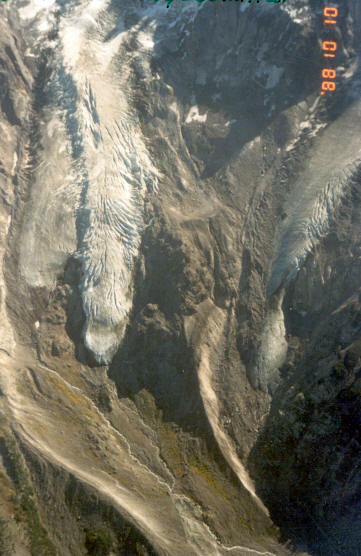 In 1994 the terminus had retreated 95 m and by 1997 151 m. A view of the terminus in 1993 indicates an active, crevassed terminus tongue, top image. In 1994 (middle) and 1997 (below) the terminus is a well established vegetation and sediment line marking the 1970’s advance, burgundy arrows.